If there is one real cheese country in the world, it's the Netherlands. 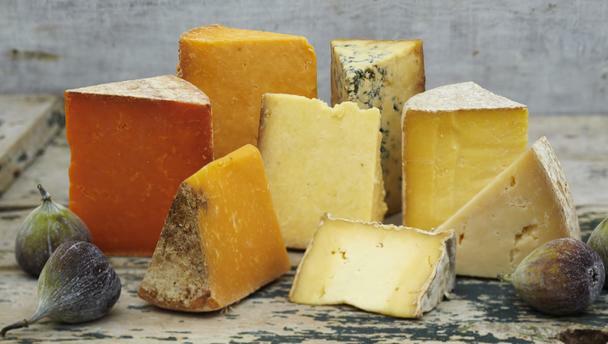 In fact, the Dutch are known as `cheese-head', who'd rather sell their cheese than eat it themselves. As the world's largest exporter of cheese, the abusive name of `cheese-head' could be considered as an honorary nickname. In Dutch `cheese-head' is also another word for the mould in which the cheese is made. It is rumored that in the Middle Ages farmers in North Holland used these wooden moulds as helmets and this is how the enemy could identify an army of `cheese-heads' approaching. Nowadays Holland goes into the offensive with the cheese itself. 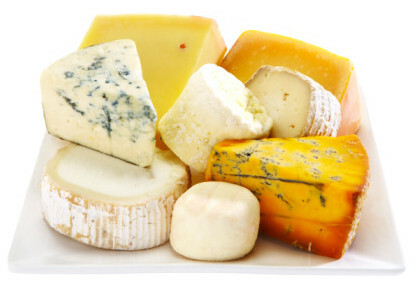 In 1988 the Netherlands produced over 550 million kilos of cheese, of which 400 million kilos was exported primarily to other Western European countries. 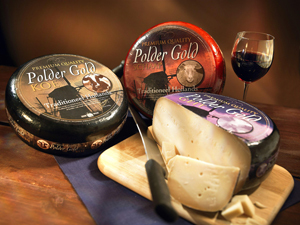 But also in America and Japan, Dutch cheese finds a welcome market. Holland is unquestionable the `cheese country' not only because of its high export figures or the wide variety of Dutch cheeses available at the supermarket or delicatessen but also because the Dutch culture is entrenched in cheese. Several cities in Holland still have Cheese Weigh houses, usually splendid sixteenth or seventeenth-century buildings, where in bygone days the weigh masters inspected the cheese prior to sale. To this day cheese markets are still held weekly in certain Dutch cities. Often just for the tourists as in Alkmaar and Purmerend, but a number are still `real' markets, as in Bodegraven, Woerden and Gouda. Holland also has a cheese museum (where else but Alkmaar), whilst at various regional museums you can see evidence of early cheese making. If you wish to see cheese being made contact the Dutch Dairy Bureau, who will send addresses of both farms and creameries in The Netherlands that are open to visitors. The Netherlands for many is the land of windmills, clogs and tulips. It is also the land of lush green meadows and peacefully grazing cattle. The land of milk, butter and cheese which is from the basis of Holland's prosperity. This small, densely populated country is the world's largest exporter of cheese, butter and powdered milk. This is surely a good enough reason to spend a day with family or friends, enjoying the many attractions the dairy industry has to offer. There is plenty to see, both from the past and the present. During the last century the Dutch dairy industry has undergone a radical modernization process. New cowsheds, advance milking machines, computers and automated feeding, have become commonplace on the farm of today. But at the same time many dairy farms still make cheese using the time honored method. In complete contrast Dutch creameries offer an amazing insight into the advanced of modern technology. Milk and dairy products are part of the Dutch national heritage and throughout The Netherlands you will find reminders of this heritage. There are museums in which you find old and new utensils for milking can be seen, as well as those for butter and cheese making. Throughout The Netherlands traditional cheese markets still are held and statues and buildings remain a testimony to the importance of dairying throughout Holland's history.